Two new reports demand action on social media giants when it comes to online campaigning. Will the government listen? Bubbling beneath the talk of a fresh general election or referendum is a concerning reality: as things stand, the door is wide open to foreign interference, disinformation and dark ads. That’s the conclusion of a report from the Digital, Culture, Media and Sport committee today. This month marks 15 years since the launch of Facebook. But it’s 19 years since the launch of the main law governing elections and referendums. That legislation was drafted for a time of floppy discs and the millennium bug. Now our elections are increasingly likely to be won not on the streets but on phone screens. The DCMS report calls for “a radical shift in the balance of power between the [social media] platforms and the people”. The amount spent on Facebook ads by parties doubled from 2015 to 2017 – to more than £3m – and it is likely to grow further at the next election. But that spending remains a Wild West when it comes to transparency. It’s not just DCMS saying it. Regulators have themselves warned that democracy is under threat from outdated rules. And in a recent report from the Electoral Reform Society (which I helped edit), regulators, academics and campaigners joined for the first time to demand comprehensive campaign reform. Pro-Brexit Conservative MP the Rt Hon Dame Cheryl Gillan MP makes the case very clearly: “If we do not update the rules governing our elections and referendums, the credibility of our elections is at risk.” Remain-backing Labour MP Stephen Kinnock is now launching an All Party Parliamentary Group to raise the issue. And MPs on both side of the Brexit divide wrote an open letter to the government calling for change. Take one simple example of the governance gap: physical leaflets have to tell voters who is paying for them and publishing them. That’s common sense: you should know who’s trying to influence you. But that rule does not apply online – meaning anyone can pump in millions to sway your vote with zero accountability. The problem goes beyond the social media platforms: it’s about money and power, too. At present, it’s possible for a foreign power or corporation to set up a shell company in the UK, start generating some ‘economic activity’ in the UK, and then use it to pump millions into a political party during an election. The rules are even murkier outside ‘regulated’ election periods: basically anyone can fund a political campaign group outside of election time. Some of the new developments in tech could have huge implications for our politics. In some years it will be possible to create political ‘deep-fake’ videos – what appears to be real footage of a politicians doing or saying something (but which isn’t) – and through it try to influence elections. Or for campaigners to purchase data from so-called ‘smart’ devices in your home to stream hyper-targeted political ads into your home. And as technology develops faster than the rules, ‘deep learning’ data tools may soon allow campaigners to subtly tweak what they’re telling different groups of voters online in order to influence them – without the involvement of humans. That could all but abolish the idea of a ‘national conversation’ and campaign transparency. As Josh Smith Senior Researcher at the Centre for the Analysis of Social Media at Demos points out, one company already promises to help find sympathetic voters through their phone’s presence at political events and follow them home with advertising. Another offers ‘voter file enhancements’, providing electoral rolls fleshed out with data on income, occupation, education, likely marital status, ethnic and religious identification – even people’s pet ownership. What can be done about it? Transparency is a start. We need legislative action on social media companies if they fail to make political ads transparent. And it’s time for mandatory digital ‘imprints’ showing who paid for a political ad. We also need to know what campaigners are spending during an election period: 42 per cent of campaigners’ spending reported at the 2017 UK general election was on digital campaigning – an increase from 23 per cent in 2015. They don’t currently have to separate online vs ‘physical’ campaign spend, or report donations/spending in real time, making it even more difficult to see what’s going on in the digital realm. When organisations break the rules, they should be properly held to account. At present however, the maximum fine the Electoral Commission can levy is £20,000. That is simply the ‘cost of doing business’ for unscrupulous individuals or entities. More than that, as academics Martin Moore and Damian Tambini show, ‘much of what would be considered unfair or wrong is, in fact, perfectly legal’. Some change is happening. Under huge pressure, social media companies have started to experiment with more transparency. 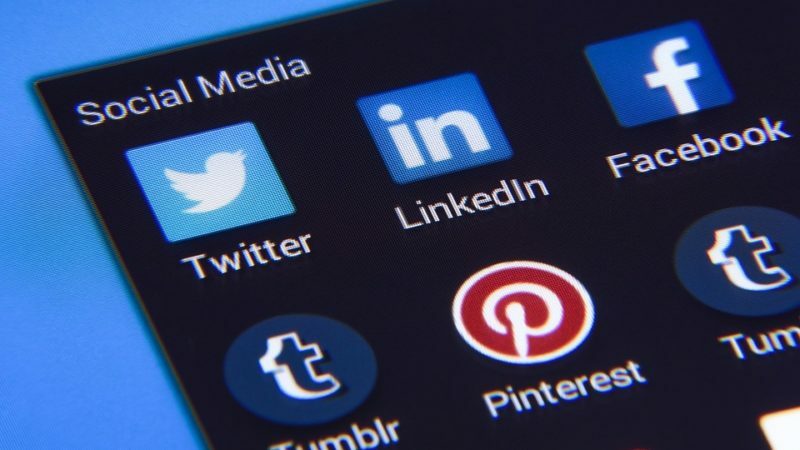 But as Cassie Staines, Senior Policy Officer for Full Fact argues, we cannot rely on multinational tech firms to act in the public interest when it comes to mis/disinformation and campaign transparency. With talk of a fresh general election or referendum heating up, the need to bring Britain’s outdated election laws into the 21st century is urgent. And while social media giants should be held to account, this goes wider: this is about the complex relationship between democracy, technology and power as a whole. With the right rules online campaigning can be a real force for good. But without them, we are trapped in a technological arms race to use and abuse whatever new technology crops up to swing elections. This is bigger than Brexit: it is about the future of our democracy. Let’s get to work. Read the ERS report, ‘Reining in the Political ‘Wild West’: Campaign Rules for the 21st Century’, and the DCMS inquiry. Josiah Mortimer is Editor of Left Foot Forward and works with the Electoral Reform Society.